Downtown Palo Alto parking, already a harrowing and costly endeavor, is about to get more expensive. City leaders are considering a plan that would increase the cost of downtown parking permits by more than 50 percent. Neighbors aren't happy about the idea. "I don’t want to work for parking," said Miguel Lopez, a server at Coconuts Caribbean restaurant. "It doesn’t make sense for anyone." Lopez said he can’t afford the annual parking permit, so he parks in free spots on the street.But in order to avoid getting citations, he has to move his car every two hours. "Five-minute break, and move my car," he said. "Sometimes it takes longer because I can’t find parking anywhere." 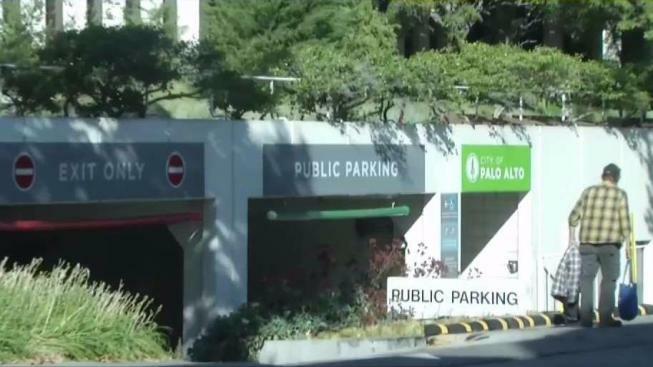 The Palo Alto City Council on Tuesday night discussed the city budget proposal, which includes the parking permit hike. If it's approved, the permit for the garage below City Hall would jump from $466 a year to $730. Planning Director Hillary Gitelman said the extra revenue would be used to fund transportation-related programs. "Sounds like a big number, but if you look at the cost to park on a daily basis, it’s pretty minimal," Gitelman said. She also noted the price is closer to what other Bay area cities charge. Redwood City charges $1,200 a year for a downtown garage permit, and a spot in San Francisco will cost more than $3,000. Some in Palo Alto hope the parking price hike also will price a few people out of the market, reducing traffic. "A whole lot of cars and no parking spaces," resident Boris Pleshakov said. Others fear the added cost will encourage small businesses to move out. "When you have five or six employees, that’s a lot of money," Stuart Esbit said.